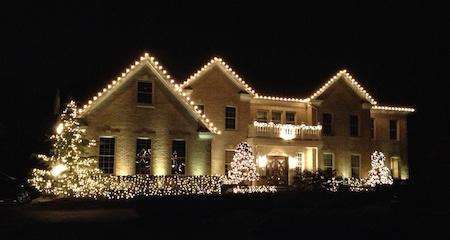 Expert Christmas Lighting Installs... We Do It All. We Get RAVE REVIEWS. You can trust our quality and reliability. Want to see our work? Check out our facebook page. 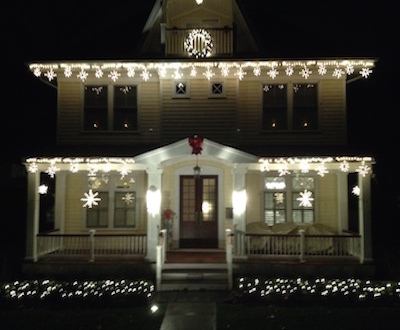 Christmas Creations of New Jersey has been designing and decorating in Monmouth County NJ for over 10 years. 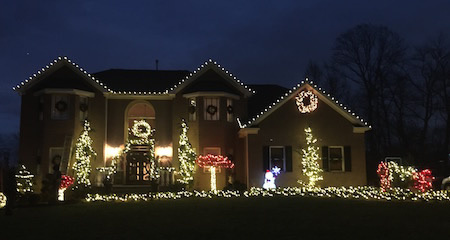 We offer Christmas light design, installation and removal services for residential homeowners, commercial Christmas light installation for businesses, municipalities, hoa’s, hospitals, shopping centers. Our Christmas décor specialist of Monmouth County NJ will make any home or business look amazing for the holidays. We can assist you with overall design, Christmas décor options, energy efficient (green) LED Christmas light installation options, and just about anything else related to hanging Christmas decorations. We choose to use LED (ONLY) lighting. The LED benefits us all. It’s the greener feel. Saves us all on our electric bill. LED lighting have a longer life span, and light bulbs burning out happen far fewer then the older traditional incandescent bulbs. Never climb a ladder again. Why get upset with twisted wires, and strings that do not work? Leave your decorating to us! Our creative team enjoys making any size home look festive. Whether it’s a roof-line, outline, landscape, tree lighting, bushes, we will turn your home into a winter wonderland. 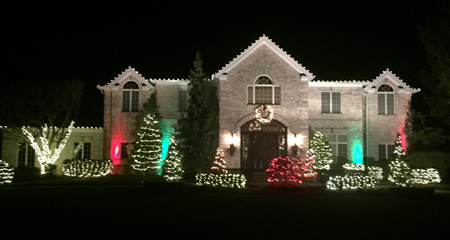 Our staff of decorators are experts in the field of residential Christmas light design installation and holiday decorating. We will be happy to provide you with decorating ideas, or we can turn your existing ideas into a reality. We have a selection of various Christmas lights, extension cords, timers, and other installation necessities available for purchase, and we also offer “all inclusive” rental programs. We have found that decorative banners, displays, and festive lighting attract a great deal of attention to retail centers, commercial buildings, city boulevards. The increased visibility draws attention and increases customers to your location. Let us help you maximize your Christmas Décor budget and visibility this year while at the same time creating a winter wonderland for people to enjoy. Our team works, fast, clean and polite. Hiding power cables, clips and leaving your property in the same condition as if we weren’t there. We like to think of ourselves as Santa Helpers. Trying to give you the feel as if we are your own personal Elves. Included in our service is FREE maintenance. If a pesky squirrel happens to chew through a wire. Or the wind blows down a string. Just give us a call, and we will be there to maintain the appearance until Christmas.